With the holiday season behind us, the magic of a winter wonderland can quickly fade into the monotony of a dreary cold front. But while we may not be lighting candles and singing carols anymore, there’s plenty of ways to enjoy the coziness of winter, with no gift-wrapping required. ⇒ Plan a casual get-together with friends and family ‘just because.’ Holiday gatherings are wonderful, but they can also be stressful with the pressure to cook a perfect meal, bring the perfect gift or find a festive outfit. 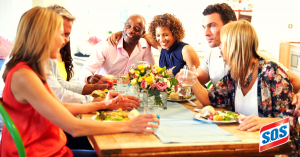 Take away all the holiday trappings and invite your family and friends over for a casual get-together for no other reason than to enjoy each other’s company. Let everyone know the dress code for the evening is ultra-casual. Order take-out or make it a pot-luck. Have everyone bring their favorite board or card game, throw on a movie for the kids, and just… enjoy. ⇒ Plan a family pajama day. Kids love staying in their pajamas all day. (And let’s be honest, so do many adults when given the chance.) Stock up on snacks and set aside an entire day to stay indoors and enjoy some family time. If your walls feel bare without holiday decorations, help your kids make and hang up paper snowflakes and snowmen. 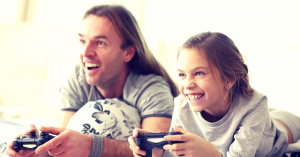 Board games, movie marathons and even video games can also be perfect pajama day activities. ⇒ Hit the pool! Indoor pool, that is. While swimming in the summer is often taken for granted, during the winter months it can be a special treat (even if you live in a warm climate). 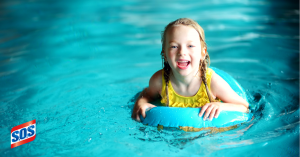 Find an indoor pool or water park near you, check the swim hours, and dig out your bathing suit! Pack a picnic lunch and pretend it’s summertime. ⇒ Re-decorate a room in your home. It’s amazing how uplifting it can be to rearrange furniture and décor in your home. Moving couches can suddenly make a room look bigger or more inviting. Hanging a favorite painting in a new place can make you smile each time you see it. If budget permits, splurge on a few small home décor items to spruce up your living space and enjoy your ‘new’ home. ⇒ Do some cleaning out. Ok, ok… this may not seem like a ton of fun on the surface. But for most people. there is joy to be found in having an (at least somewhat) organized home. If you have children, consider giving them each a small box to fill with items they no longer play with or wear. Provides a great opportunity to talk about how things they don’t need or want anymore can bring happiness to someone else. 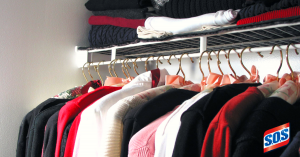 For the grown-ups, tackling a clothes closet, a storage closet or a junk drawer are great targets that can typically be cleaned and organized within a day. And doing so is likely to provide you with your own bag of items to donate to someone in need. Feeling good about helping others AND having a cleaner living space may just make the next few months seem a little less dreary. How do you beat the winter blues? Let us know in the comments below or on the S.O.S Facebook page. And don’t forget to follow us on Facebook, Twitter, Pinterest and Instagram too!